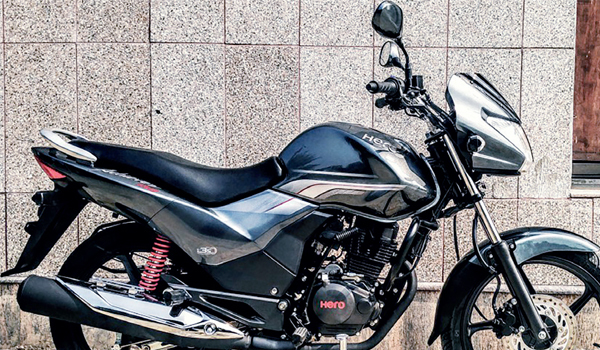 FINE-TUNED at Heroa��sCIT facility in Jaipur,the Achiever 150 isaimed at establishingHero in the premiumcommuter segmentand preparing the market formore exciting products. It is neatlyput together, with no-nonsensestyling and subtle cues to indicateits pedigree. Elements such as the carbon fibre-like finish on the instrument cluster, the 3-D a�?Heroa�� logo on the tank, and five-spoke alloys add flair to the bike. Disc brakes are standard on the topend variant and the sleek body styling is most evident from a three-quarter angle. A lot of attentioN has also gone into the fit and finish, without any materials looking flimsy or out of place. Because ita��s a commuter, the styling is minimalistic. The skinny 80/100-18 Ceat Secura tyre, however, could have been made chunkier at the rear for a sportier appeal. The upright riding position is extremely comfortable, even for tall riders, and two people can easily manage city commutes on the long, wide seat. Powering the Achiever 150 is a 149.1cc air-cooled engine, carried over from Heroa��s JV with Honda, tuned to churn out 13.6PS a t 8 , 0 0 0 r pm a n d 12.8Nm of torque at 5,000rpm. It is also optimised to offer more linear power delivery. On firing up the bike with the electric start, the entire s e q u e n c e f e l t smooth. 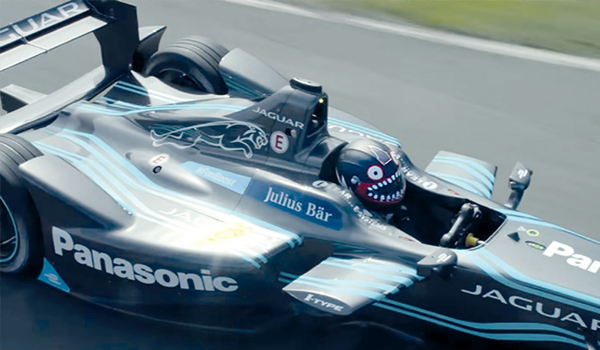 Slotting it into first gear and setting off on the test track, the refined engine characteristics were immediately apparent. I didna��t feel any harshness and the vibrations were quite reduced. Making my way through the gears, I realised how easy it was to ride. It can hold low speeds in higher gears without the engine sputtering and can accelerate from 0-60 kmph in five seconds (as claimed). The Achiever is the first 150cc to get Heroa��s i3S (Idle Start-Stop System), which automatically shuts off the engine if the bike idles for more than five seconds in neutral. But a quick pull on the clutch will fire the engine back up. The bike returns a healthy 50 kmpl (based on the World Motorcycle Emission Test Cycle and not the Indian test cycle). The Achiever, carrying a f ive-year engine wa r r a n t y, a l s o comes with an a�?automatic headlight ona�� (AHO) function, which activates the headlight the moment the engine is fired upa��a feature that will soon become a standard in all two-wheelers. 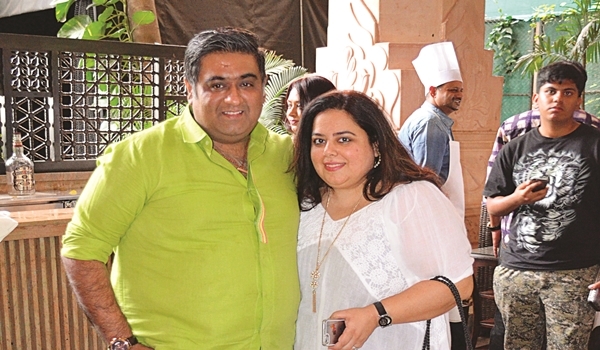 director, Mehra, the performances by the debutants could have been better. Bengaluru is a coffee-loving city, sure. But how much do people know about whata��s in their cup? How much does the way ita��s made impact its taste? I spent an afternoon learning all this with Tapaswini Purnesh, a marketing head (fifth generation of her family in the coffee business) and a diploma holder from Le Cordon Bleu. In the cosy coffee-tasting room of their bright airy office, I was led through the making of three types of coffee with their quality specialist Shruti a�� the pourover, the popular French press and the zippy aeropress. The same coffee made via different methods yields distinctly different body and intensity. Their coffee estates in Chikmagalura��s Bababudan hills grows quality robusta (a strong bean giving creaminess and a fuller mouthfeel), as well as Arabica (known for its sweetness and acidity). The Classic Groupa��s robusta has been winning awards internationally at coffee fairs for years. Indeed, according to Tapaswini, a�?Indian robusta is one of the best in the world.a�? The family has a long-established wine retail business, and Tapaswinia��s father, DM Purnesh points out the similarities between wine and coffee. a�?Many terms are similar; mouthfeel, aroma, body, acidity, aftertaste. We call acidity a�?brightnessa�� here, but ita��s the same thing.a�? I watch the precise timing and delicate handling of the pourover method. a�?Ita��s a calming, slow process,a�? says Tapaswini. a�?Being light-bodied, ita��s an ideal after-lunch beverage: put on some music and brew yourself a cup.a�? Pourovers are doing big business in trendy bars and gourmet cafes worldwide where their charm and delicacy have caught on. Are people savvier today about their coffee or does instant still rule the roost, I ask her. a�?For generations, wea��ve drunk coffee a certain way, but few question where ita��s from and how ita��s made. Young people certainly know what they want and are ready to try coffee in its purest form, sans milk or sugar. Ita��s a great starting point.a�? The meticulously made French press coffee is poured. Already, the aromas wafting upwards are stronger, the body fuller and darker: an ideal pick-me-up after a long day. Finally, she demonstrates the zippy aeropress, very new age in its look and feel. But its deep richness with its lush crema is a delight to the senses. Classic, like many other local coffee growers, exports 90 per cent of its production, mostly to premium micro roasters in Europe and America. They are now looking to grow within India and its young generation of coffee drinkers. 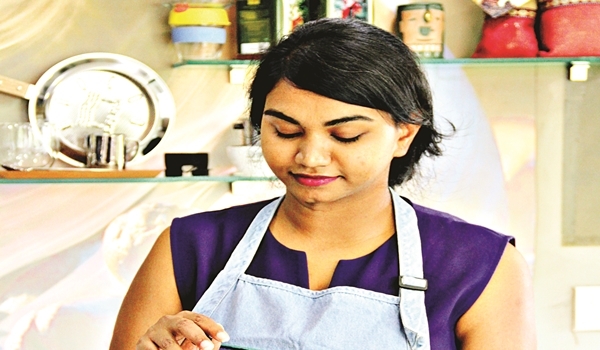 For starters, Tapaswini, who loves a good double espresso herself, plans to hold coffee brewing and tasting sessions to help educate and draw coffee fans into the fold. Her background in culinary learning helps her understand flavour profiles. A bonus: she does dessert pairings with coffee, too. a�?People think ita��s easier to make tea, but coffee has its own charm. The day of the coffee soirA�e isna��t far a�� call some friends home, brew good coffee and make it the centre of the conversation.a�? A few weeks ago, Freedom Park was lit up with energy created from a biogas plant which was fed waste from restaurants around Bengaluru. The folks behind this feat were Citizengage, an end-to-end waste management start-up, which is making a positive change in terms of the garbage situation in the city. Ita��s no secret that Bengaluru has a garbage problem. 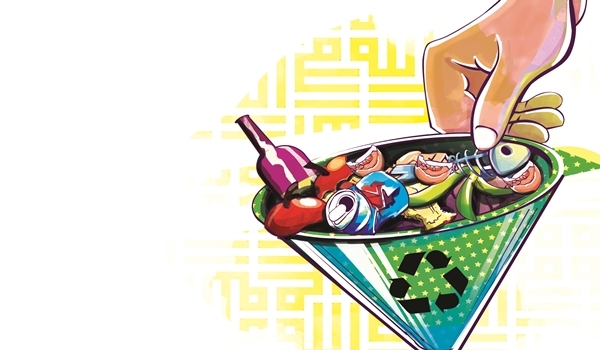 The organisation collects segregated waste from restaurants and apartment complexes and distributes it to biogas plants and recycling centres. a�?We noticed that there was a problem at both ends,a�? says Ashish Malayil, co-founder, explaining, a�?There were people who were ready to segregate their garbage and dispose it in a responsible manner and then there were biogas plants and recyclers who were in need of high quality material. There was just a disconnect between these two and no one to bring them together on a single platform.a�? Malayil and Pronita Saxena, founder and CEO, realised that citizens and businesses are willing to make changes in the situation but didna��t know how and couldna��t find a working system. They have teamed up with several restaurants like Red Fork, Mother Cluckers, The Humming Tree, Hard Rock Cafe, blueFrog, Permit Room and chains like Smokehouse Deli, Social, and others spread across the citya��s commercial hubs,? who wanted to be more sustainable with their waste disposal. With Citizengage, the collector comes in every day, can be tracked online, and users can even find out exactly where their waste is ending up. Their in-house trainers go into each restaurant and explain the importance of waste segregation to the chefs, busboys and waiters. They have diverted over 1,500 tonnes of waste in the city so far and have also lit up the Domlur BDA park with the energy created. Bengaluru is actually one of the few cities in the country with very progressive segregation laws, which makes their work easier. Delhi ?and Mumbai? are yet to catch up, but the Citizengage team is optimistic about creating policies that enable them to set up shop there too. They believe responsible citizens and businesses are the crux of the system and they are eager to become a tool for them to control what happens to their waste. ? a�?The challenges are many,a�? adds Malayil. They do not want to take away anyonea��s livelihood, but just streamline the process. a�?I do not wish to comment on the opposition we have faced but our main aim is to create a platform that generates awareness among the public on how garbage is actually a huge resource and offers them a system to take control of the conversion,a�? he concludes. and show last weekend. DJ Clement took over the turntables. Vocalist Vasu Dixit from the band Swarathma performed some of his much loved tunes. Guests sampled the new menu and sipped on signature cocktails.